Hit Salem roads in style with a new Mercedes-Benz convertible or roadster. Whether you’re shopping for the Mercedes-Benz C-Class Cabriolet, SLC Roadster, or the Mercedes-AMG® GT Roadster, you’ll find 11 incredible options at Smith Motor Sales of Haverhill. Get acquainted with our available options below, then take a few minutes to get pre-approved for financing or leasing. Convertible vs. Roadster: What’s the Difference? Convertibles, such as the E-Class Cabriolet and S-Class Cabriolet, have a hard- or soft-top retractable roof. What is a cabriolet? “Cabriolet” is the French word for “convertible.” Roadsters, such as the Mercedes-Benz SL-Class and SLC, are a type of convertible with an open top, two seats, two doors, and a sporty performance profile. Either way, you’ll enjoy access to top-notch features, such as DYNAMIC SELECT®, leather seats, a navigation system, and a multi-function steering wheel. Which is the right body type for you? 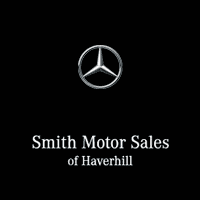 Contact us at Smith Motor Sales of Haverhill to schedule a test drive near North Andover! We’ll introduce you to our Mercedes-Benz roadsters and Mercedes-Benz convertibles for sale. If you have questions about our new vehicle specials, don’t hesitate to ask!